Canada 150 — Nordest Studio | Marketing & Production agency based in Toronto. 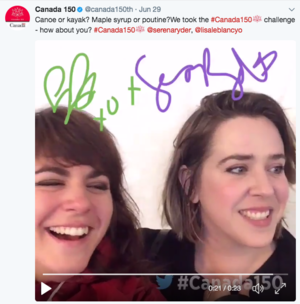 Nordest Studio collaborated with Groupe Phaneuf to co-produce Canada Day 150 show on Parliament Hill. The momentous 150th anniversary event called for out-of-the-box creativity on an epic scale. Beyond co-producing and programming for a 10-hour event, our team developed and executed activations that added value and culture to the celebration’s already incredible line-up. From a pop-up stage with acclaimed Canadian talent to celebrity karaoke, our team created holistic activations that provided intimate access to performers and meaningful engagement for the Canada Day celebration, reaching millions of Canadians on-site and across the country. Our pop-up stage created the feeling of an intimate experience within a large-scale event. It became "a show within a show", where diverse artists like Lucas DiPasquale and Little Scream took to the stage for unique performances. 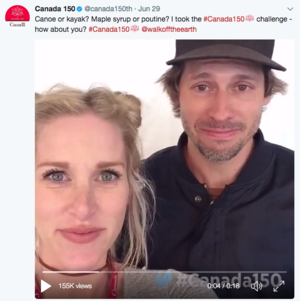 In partnership with Pattison Outdoor, we designed cross-country billboards that featured the #Canada150 hashtag to inspire and entice Canadians to join the celebrations ahead of July 1. On the event day, the billboard content expanded to included real-time tweets of people using the hashtag. 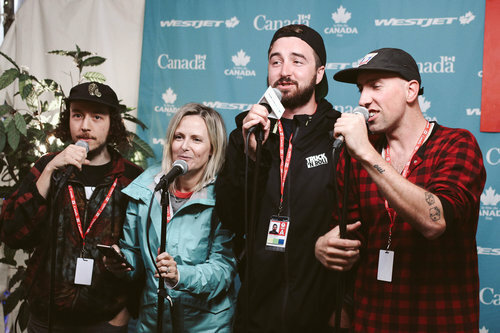 With so many Canadian artists in one place, we created a backstage Canada karaoke experience. Performances were streamed live to Facebook and Twitter, which provided additional digital content for audiences to engage with. In partnership with Twitter, we integrated the coveted "Twitter mirror" as part of our backstage digital experience. Using the mirror, celebrities were able to photograph themselves, make GIFs or film videos that were published to the social platform and provided additional channel engagement for our client.